TAILBOARD STEREO CAMERA. 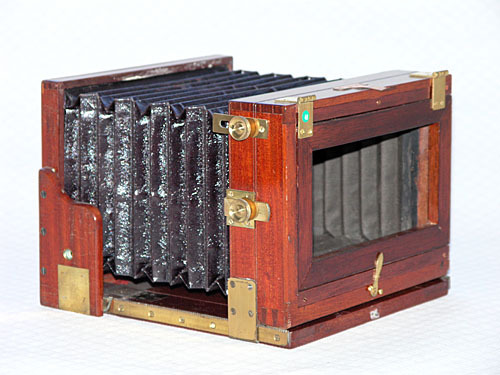 Chadwick was a designer of cameras, having his stereo cameras built for him by Billcliff. 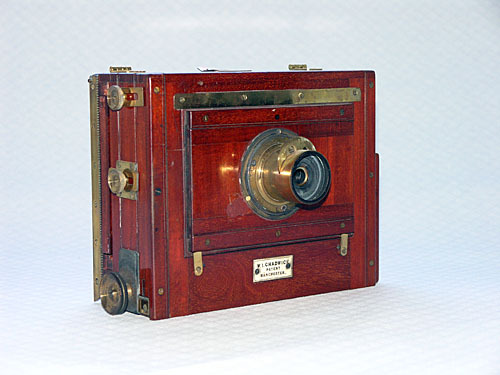 This Patent Stereo of Single View Camera was advertised in BJPA in 1895 and 1896, though Chadwick never advertised widely. It is in three and a quarter and six and three quarter inch format. The name refers to its capacity to have one lens that could be slid sideways to take two stereo views, or to take twin lenses for one-shot operation.